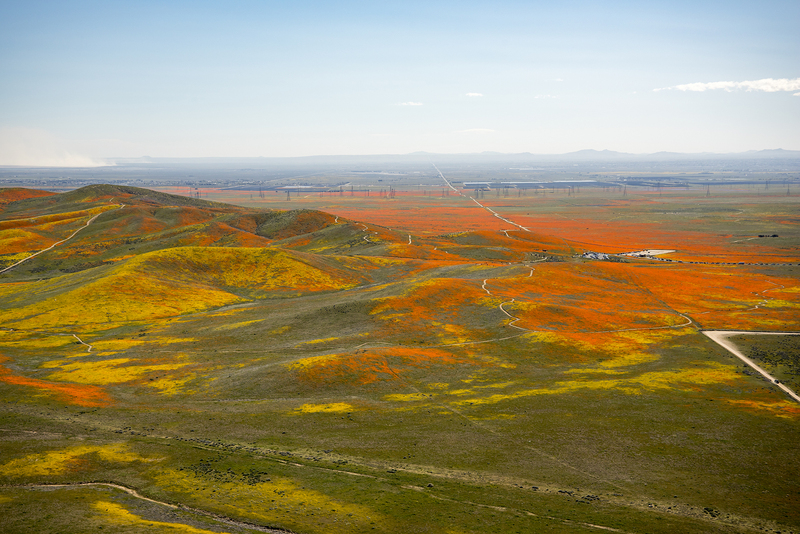 View from a NASA aircraft, T-34, over the Superbloom of wildflowers and poppies from the Antelope Valley in Southern California, Poppy Reserve and solar panels are in the background. NASA Photo / Jim Ross. Big, full res version. NASA Earth Observer, April 10, 2019.